This stamp is ideal for dating your documents. The date has a height of 4 mm and the format: day, month (in letters) and year. Size of the imprint is 25 x 4 mm. 4820 is commonly used at home or in the office to get your papers organised. 4820 is supplied with a black ink pad, as standard, to last for many thousands sharp and clear imprints. To further extend the life of your stamp, order the suitable replacement ink pad 6/4911. Pads are available in black, blue, green, red and violet. They are packed in 2 pieces in a convenient blister. 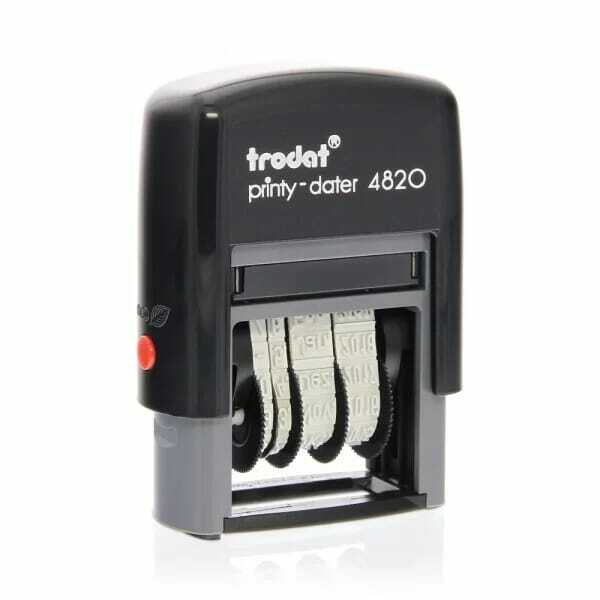 Customer evaluation for "Trodat Printy Dater 4820"
The indication of the required date is not clear, need to try a few times before getting to the date needed.